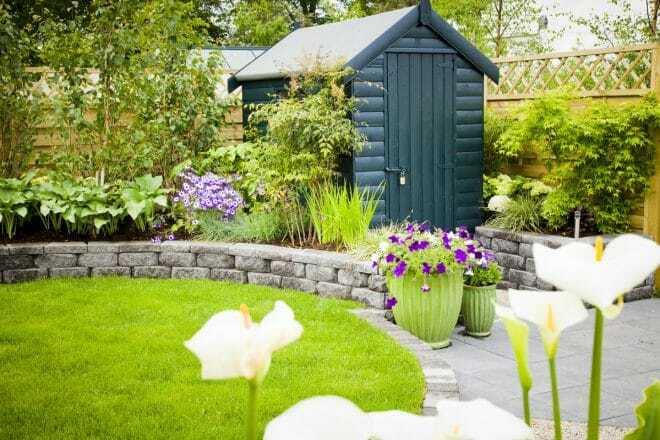 Concrete flooring will always be a fantastic option for any outdoor garden shed. Fortunately, this can be a simple, procedural DIY job, provided you follow the right instructions and take all the necessary precautions. This is an undeniably complex job, requiring acute attention to detail and planning in advance. At any stage of this process, Everlast can offer expert assistance and recommendations to create the best foundations for your shed. Through perseverance, the rewards can be enormous, from making huge savings on labour and hiring costs, to the sense of satisfaction of completing such a project (and being the envy of your mates). Here are a few pointers to help you get going with a solid foundation. Gloves: Something sturdy, but flexible and dextrous. Protective eyewear: Prevent concrete from coming into contact with the eyes. Study Boots: Your footwear should cover your entire foot and ankles and allow you to walk into wet concrete if absolutely necessary. Consult with local municipal organisations to determine if excavations are possible on the designated site – you don’t want to be digging over pipes and electrical lines. Confirm the dimensions of your shed, whether pre-bought or assembled on site; once the concrete has been poured you won’t be able to go back. Check the soil around your potential area, taking note of how durable and reactive it may be; soil that is liable to shift and move around after raining could be potentially disastrous if it begins to expand underneath the foundations. Soil that is relatively coarse and sandy will be your best bet here. Adjust loamy soil by digging underneath and inserting a layer of gravel on top. Designate the entire area of construction with pegs. Ensure that the site within is adequately level, using any available soil to level out any height differences, and measure with a string level (or if available, a laser level). Remove any grass and dirt from the top of the site. Prepare the necessary form boards to box the site in. Thicker boards will ensure that the concrete won’t pressure the boards and produce an uneven slab. Taking into consideration the thickness of your slab, measure and align the form boards together to contain the exact dimensions of the slab. Connect form boards together, and brace the forms along the sides using pegs (more pegs are necessary for longer form sides). Again, excavate and adjust the soil and measure the forms to ensure the site is level. Once the area has been properly formed, moisten the soil to assist with compacting. If this is still unlikely to be level, adding a layer of gravel will assist with forming a sturdy base, and leave a slight wedge around the perimeter to allow the edge to thicken. Cover the entire compacted site with building plastic. Concrete will perform best when reinforced with steel (especially if your shed will be housing heavier materials/equipment), so if necessary lay down a reinforced steel mesh or series of rods. This will be easiest to perform on cooler, less windy days as this will give you more time to form it before it sets. Ensure your forms are accurate to your concrete dimension, and appropriate materials to manipulate the concrete are on hand. In advance, consult with your concrete mix contractor to ensure you have the correct quality and volume of concrete necessary on hand in time to pour. Start by pouring concrete close to its final spots, and begin roughly levelling it out with a rake or shovel, reaching the height of the forms. At this point, you can screed the concrete with an additional length of timber (and extra hand), moving carefully across the entirety of the slab. Immediately after, use a bullfloat to ensure that the surface is as close to a flat finish as possible, removing any imperfections and ensuring that aggregates sink to the bottom. Wait for the concrete to set slightly to allow moisture to escape. Once it starts to resist light force, imprint grooves to assist in controlling cracks. Using an edging tool, form the edges of the concrete to provide smooth edges. Sweeping a magnesium float over the entirety of the surface will give you the smoothest, flattest possible outcome before troweling. Firmly but carefully trowel, pressuring the concrete to the desired finish, and dependent on weather conditions, allow for a day or so to set. Constructing the foundations for a shed can be a difficult, but overwhelmingly rewarding experience. These steps briefly outline what sort of preparation and dedication will be necessary. Don’t get caught on the simple mistakes; talk to the experts at Everlast to help you get the perfect final product.